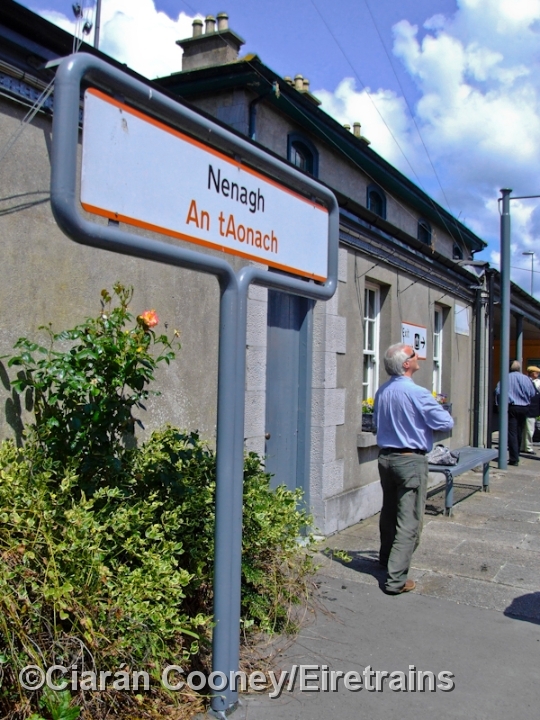 The large town of Nenagh, north Co.Tipperary, was one of the larger towns to be served by the Great Southern & Western Railway's 1863 built line from Limerick to Ballybrophy. 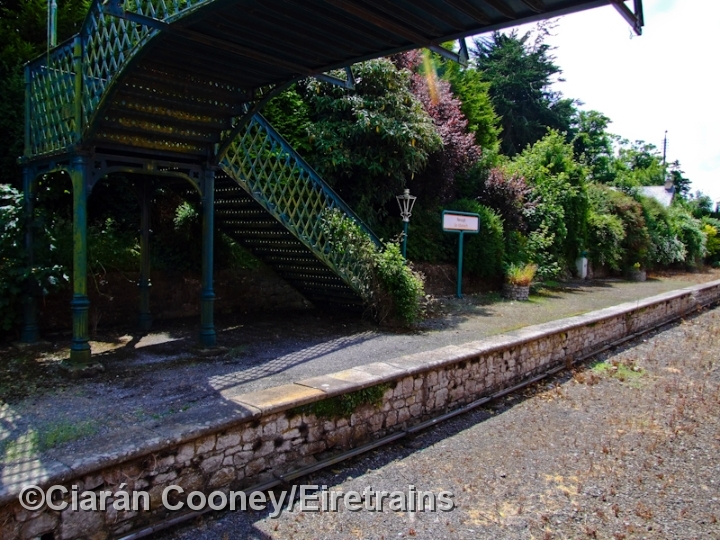 The station consisted of up & down platforms, with the main station building, a two storey stone built structure, and a signal cabin, located on the up side. 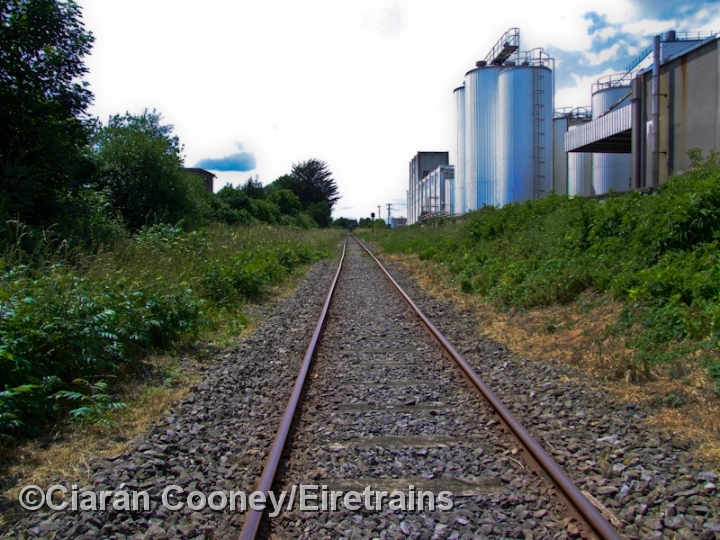 At the north end of the station were an extensive goods yard, as well as a locomotive depot. 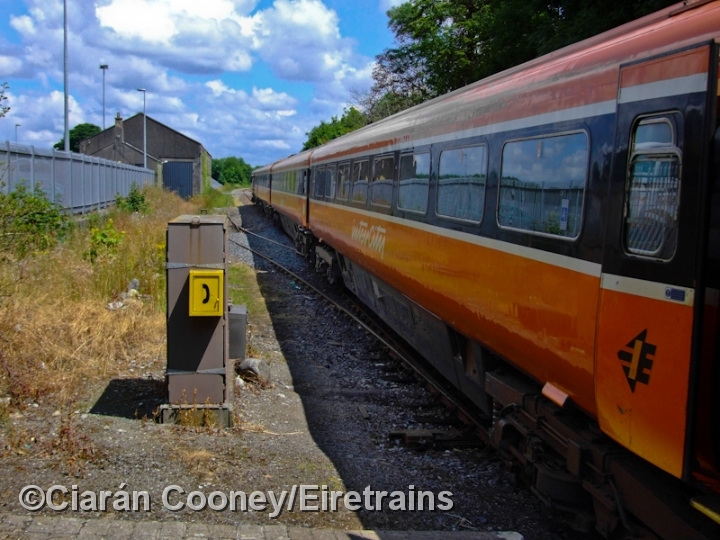 In 1989, Nenagh signal cabin was closed and the loop serving the down platform was removed and all sidings but one within the goods yard were lifted. 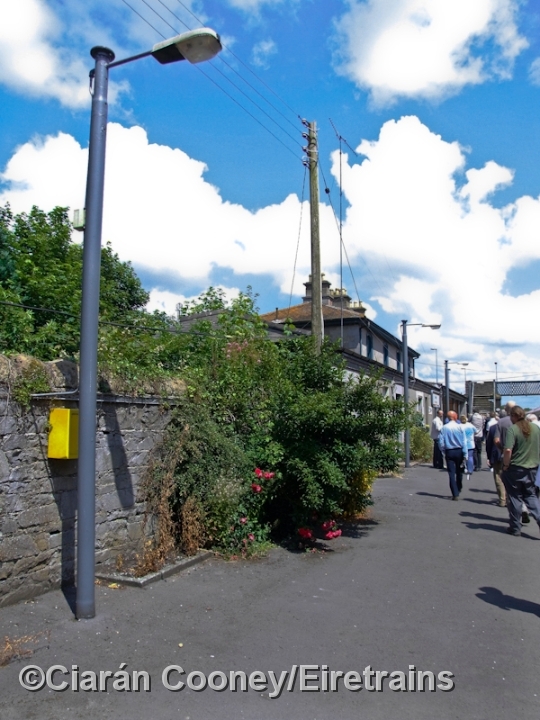 The ancient GSWR footbridge leading to the former down platform has since been closed off also. 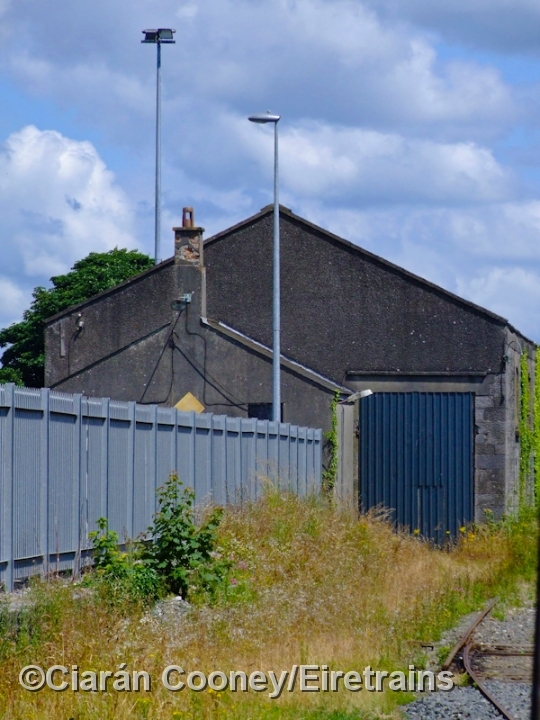 The remaining siding adjacent to the former goods shed, which once handled freight traffic in the form of bagged cement and fertilizer is now used only for engineering purposes. 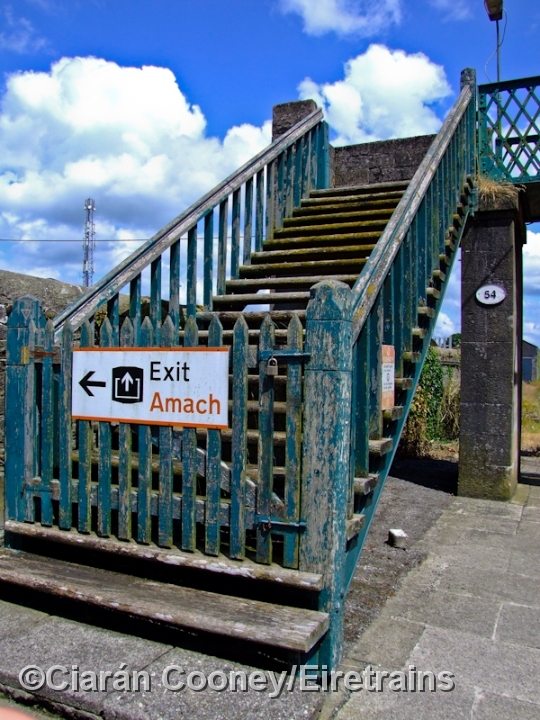 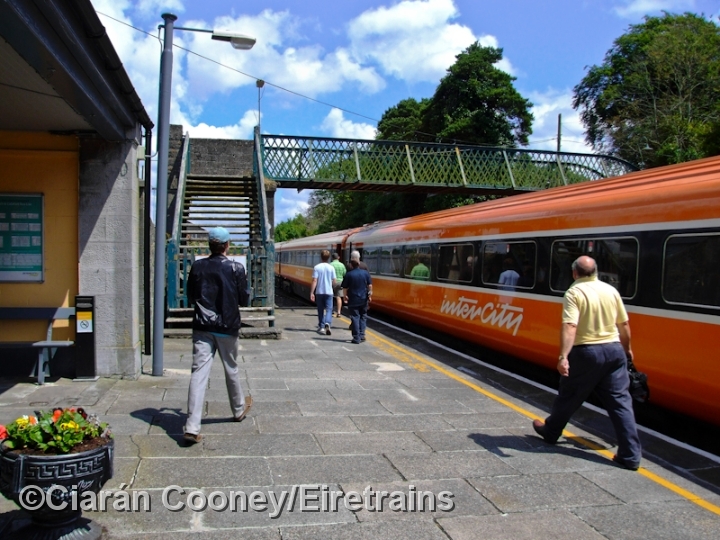 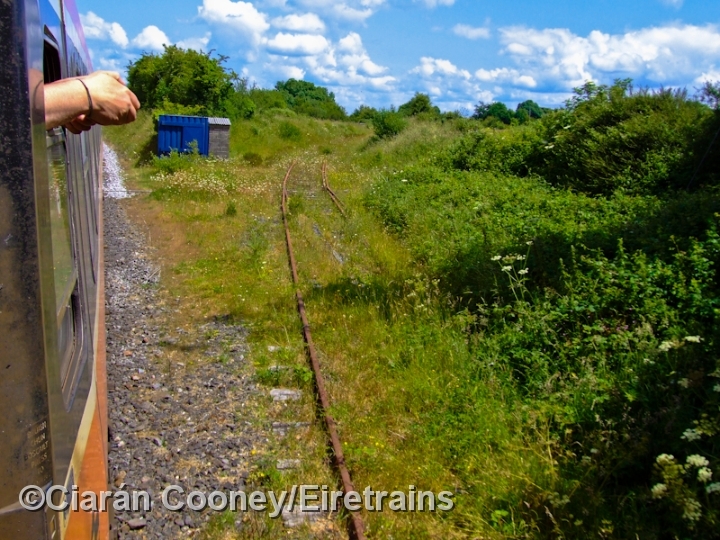 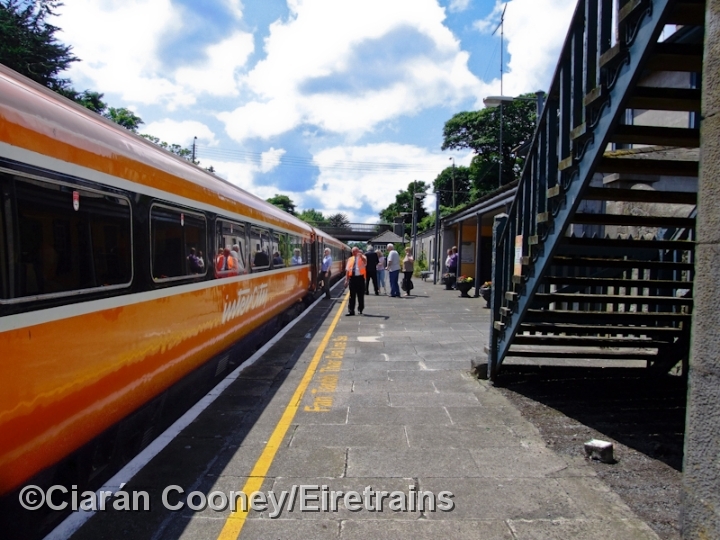 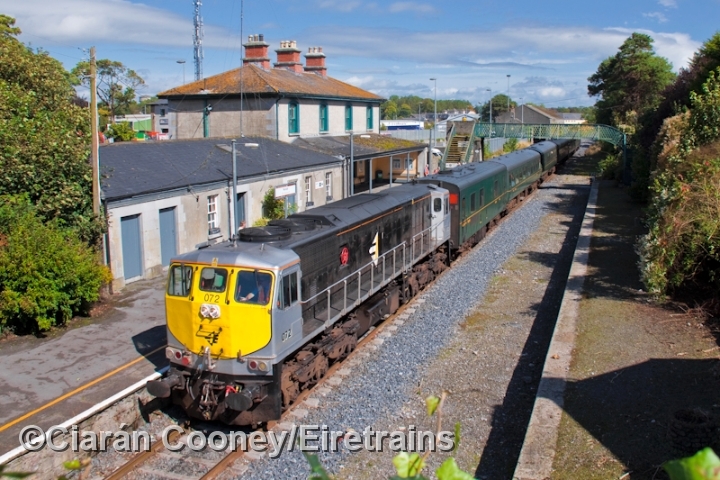 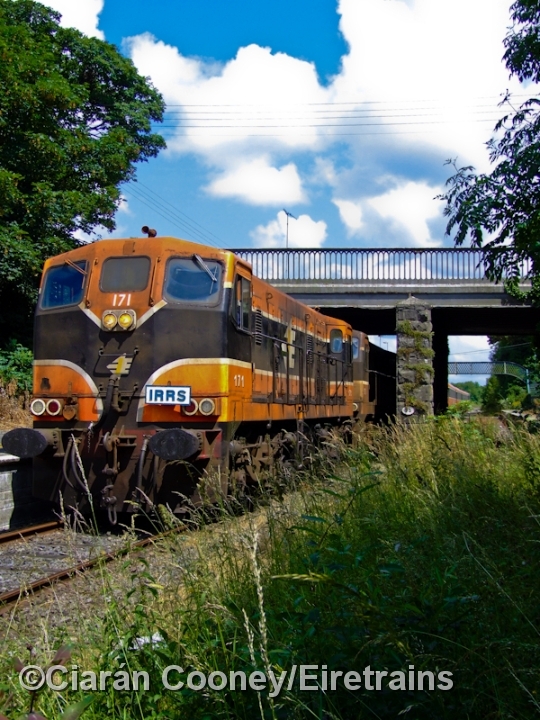 A long awaited commuter service now operates between Nenagh and Limerick City, which boosts the line's sparse service.